Rebecca • Fri, Sep 19 2014 • 27, TTC for 1 year with no joy. Digital designer by profession. Married. 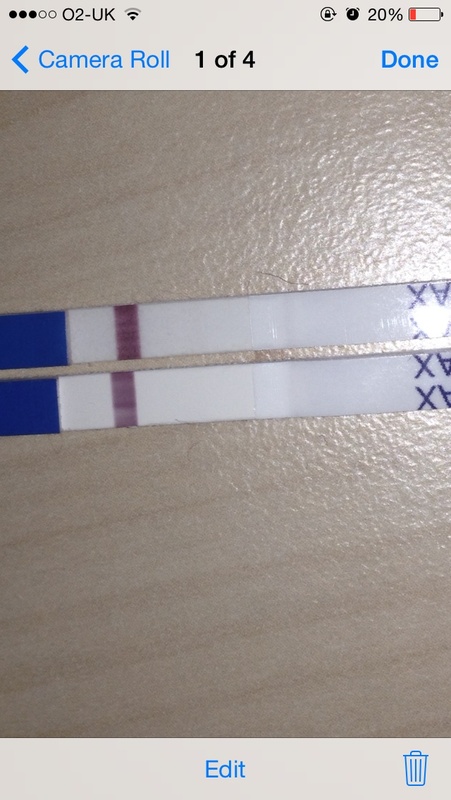 The bottom test is 7dpo and the top test is 8dpo. I know it's still very early but am I seeing things? It looks like the start of a line on the top one? I think I've got line eyes? ?